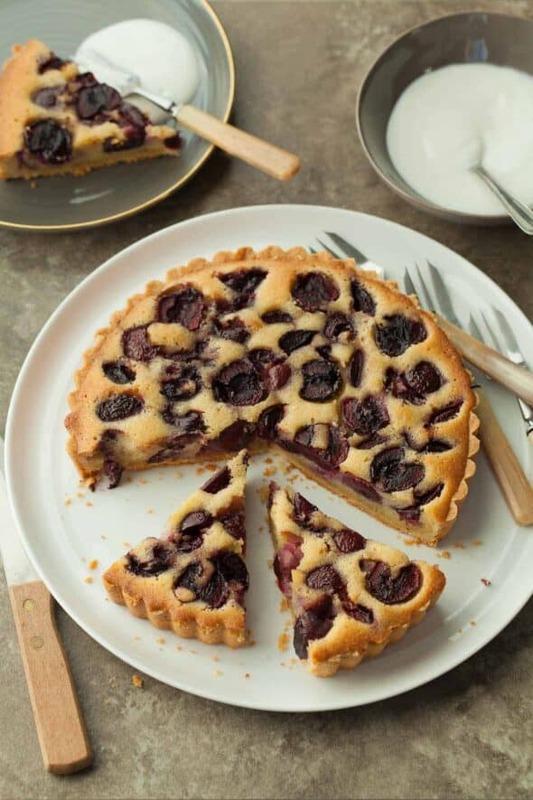 A French-style fruit tart with an almond frangipane filling studded with fresh cherries. Every year around this time, I find myself working my way through piles of cherries. 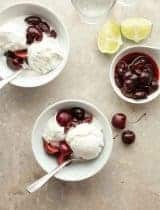 It really wouldn’t be summer without cherries or cherry pie for that matter. The season is so maddeningly short that I hoard them while I can, and when I’ve sufficiently gorged myself, I pull out the cherry pitter and get to work on that pie. Now this is not your average cherry pie, it’s a tart to be exact and features a rich and tender almond filling studded with cherries. 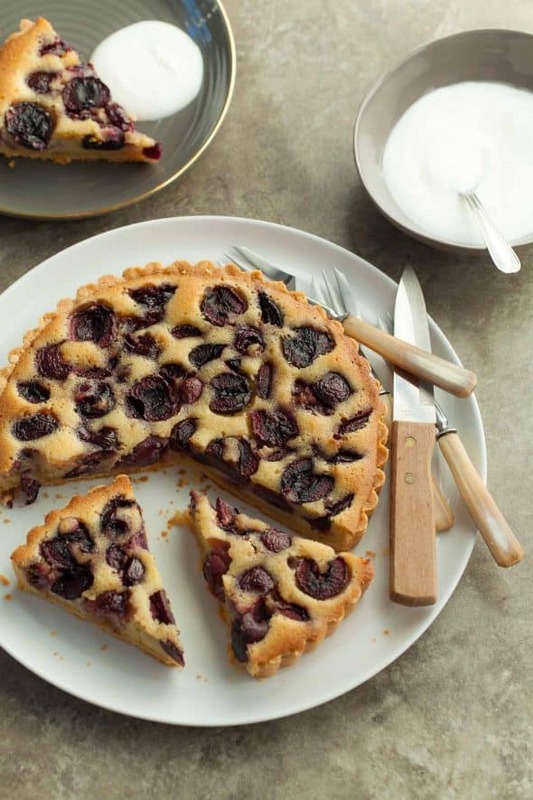 It’s a cherry frangipane tart, a classic French dessert and a favorite of mine because of how easy it is to make at home. While it may sound fancy, this particular tart is actually quite simple to make. The pastry dough comes together easily in one bowl and is simply pressed and patted right into the pan, no rolling pin needed. The crust is sandy and light in texture with a rich buttery flavor. It’s chilled then par-baked while you make the filling. 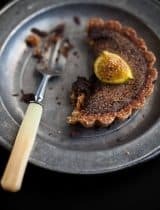 The frangipane filling, a mixture of almond flour, honey, butter (or palm shortening for a dairy-free version) and eggs is quite easy as well. It whips up in a matter of minutes and is then spread across the bottom of the tart shell. Next comes the cherries which are halved and pressed into the frangipane before heading to the oven to bake. 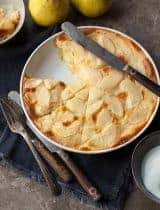 The frangipane puffs up around the fruit as it bakes and creates a tender layer that’s soft and chewy with the richness of an almond cake studded with fruit. 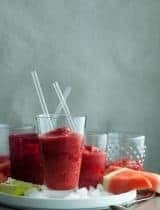 Speaking of fruit, you needn’t limit yourself to cherries, sliced plums or figs would be wonderful come late summer/early fall when cherries are sparse, poached pears are a classic for fall and winter and apricots lovely in the spring. 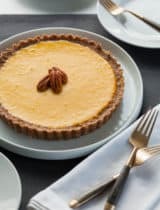 Since it’s meant to be any easy, fuss-free kind of dish, you can make it all at once, or prepare the tart dough in the pan ahead of time and keep it chilled in your fridge until you are ready to bake. 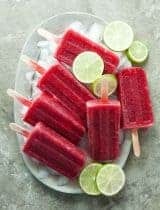 It’s perfect served with a scoop of ice cream on the side for dessert or even a dollop of yogurt for breakfast the next morning, because we all deserve to eat dessert for breakfast every once in a while. Grease a 9-inch tart pan with a removable bottom and set aside. In a large bowl combine the almond flour and arrowroot, whisk together to combine. Add maple syrup palm shortening or butter and water and work into the flour with a fork until a soft dough forms. 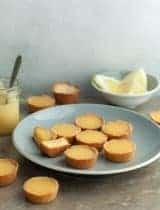 Place dough into bottom of greased tart pan and press firmly across the bottom and up the sides with your fingers. Place tart pan into freezer 10 minutes to chill or in fridge until needed. Preheat oven to 350 degrees F. Bake tart shell for 10 minutes. Meanwhile make the filling. 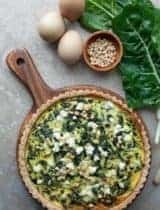 In a large bowl combine the softened butter or palm shortening, maple syrup or honey, almond flour, egg and extract and beat until smooth and combined. Remove tart shell from oven and carefully spread frangipane filling across the bottom with a spatula. 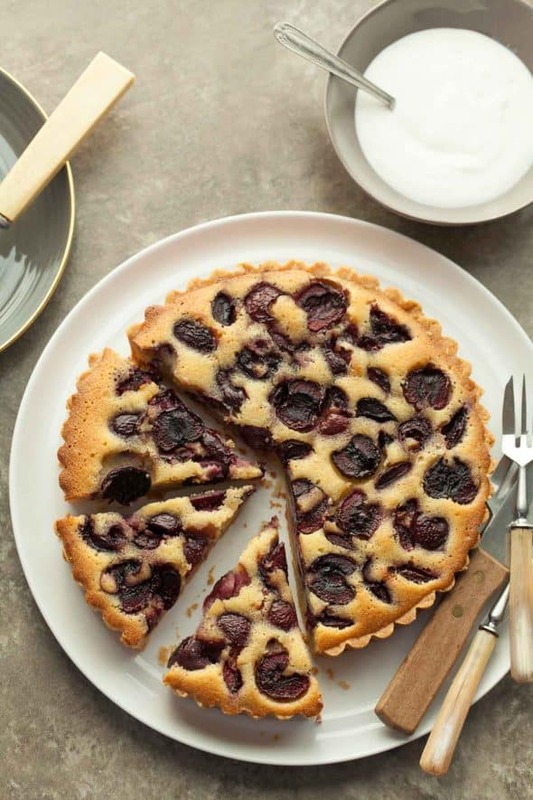 Scatter cherries over the frangipane and lightly press into the batter. Return tart pan to oven and bake for 30 minutes or until golden around the edges and set in the center. Remove from oven and let cool completely on a wire rack. Such a beautiful tart! I love cherry frangipane combination - so delicious and such a classic!